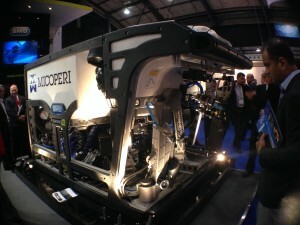 Europe’s largest annual subsea exhibition and conference returned to Aberdeen this Month. 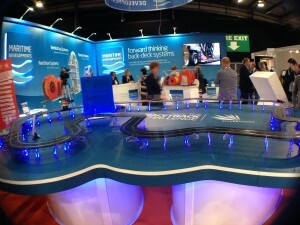 The Subsea Expo 2014 Aberdeen Conference and Exhibition (formerly Subsea 2014) is held annually at the Aberdeen Exhibition and Conference Centre (AECC). Subsea Expo 2014 is Subsea UK’s flagship event, bringing together the leading industry operators, contractors and professionals in the subsea oil and gas arena and providing industry professionals with the platform to do business and learn about the subsea sector. The Subsea Expo 2014 exhibition is a high profile event, with more than one hundred and seventy subsea-focused exhibitors and around 4,000 delegates in attendance. Spanning two days, Subsea Expo 2014 features a conference and the prestigious Subsea UK Business Awards Dinner. The annual Subsea UK Business Awards are in place to recognise outstanding achievement within the industry, and to honour those companies and individuals who continue to push the boundaries to ensure that the UK Subsea sector leads the way globally. Awards include: Subsea Company of the Year, Emerging Talent, New Enterprise, Global Exports, Innovation and Technology and Outstanding Contribution Award. As the subsea industry continues to be at the forefront of development in new frontiers, going deeper and further than ever before, the sector must keep ahead in terms of research and development as well as in maintaining its market share. The Subsea 2014 conference provides an excellent opportunity to explore these challenges and to hear the industry debate how best to tackle them.